The Florida Project breaks every single rule for films about childhood, but it’s one of the best offerings of 2017. Rising auteur Sean Baker follows up on his edgy street-life flick, Tangerine, with one of the most intriguing films of the year, a movie where, again, you can’t help but empathize with the people it portrays. How did a down-and-out teen and little girl living in a shabby motel room get in this situation and what can they do to get out of it? 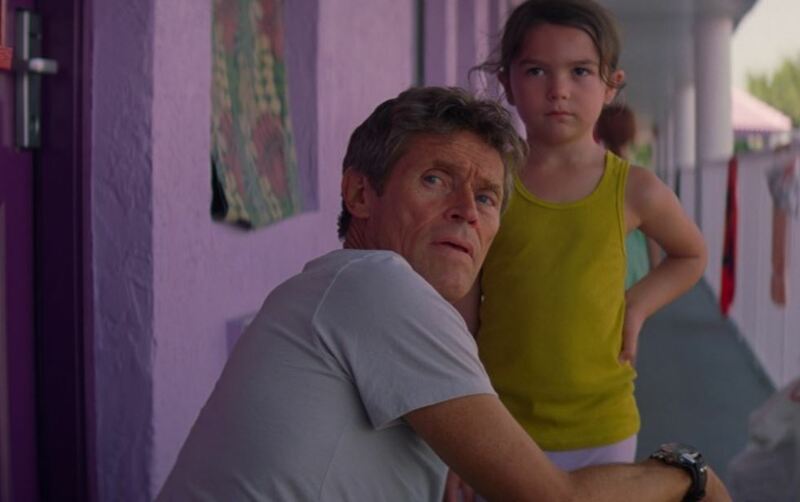 Directed by Baker from a screenplay he wrote with Chris Bergoch, The Florida Project stars Willem Dafoe and a bunch of wonderful newcomers: Brooklyn Kimberly Prince, Bria Vinaite, Valeria Cotto, Christopher Rivera, and Caleb Landry Jones. Six-year-old Moonee (Prince) lives with her mother Halley (Vinaite) at The Magic Castle, an ironically named motel on the wrong side of a Florida town. The hotel’s manager: crusty but sweet Bobby (Dafoe). Halley and Bobby have a love-hate relationship that’s more or less determined by whether or not she gets her rent in on time. She’s a problem child and as such, Bobby does worry about her. For Moonee, Bobby becomes, in the welcome tradition of screenland sentimentality, a surrogate father. At first glance, Bobby may seem like a strict manager but he’s a completely different person once you get to know him. There’s a strong moment in the film where Bobby shows how much he cares for the children and you’re rooting for him to do everything possible when it happens. It’s no joke that this film going to have a serious awards campaign. Dafoe gives the performance of his life as the low-budget hotel’s manager. Moreover, Prince delivers a breakout performance much in the same way that Abigail Breslin did in Little Miss Sunshine. There are a lot of first-time professional actors in the film, many of whom are children. Moonee makes the best of each day despite her living conditions. Jancey (Cotto), who Moonee discovers at a nearby hotel, is quick to become one of Moonee’s friends, joining Scooty (Rivera) and follows Moonee into whatever adventure they are heading into for the day. They can only make-do with what’s available to them and you feel the hurt that’s inching beneath the surface. Halley is not the best mother and perhaps it’s because of poor decisions that she has made but then again, this is a community that is rarely, if ever, portrayed on screen. However, she does everything that she can in order to raise her daughter, even if those decisions are bad choices. Does it mean making late rent payments to stay at the hotel? Sure. Vinaite adds something to the character that perhaps other actresses might not have been able to. Whereas Baker shot Tangerine on an iPhone, he brings in Alexis Zabé to shoot this one on 35mm film using Baker’s pop verité style of filmmaking. 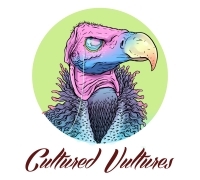 This style is one that is able to flow between realism and pop art — otherwise mundane images soon become breathtaking with the accentuated colors. Shooting the film in Florida also provided some cinematic visuals in its own right; the Florida light gave way to its own color hues that only add to the film. Just as Baker did with the transgender community in Tangerine, he has done the same for another community in The Florida Project. It’s a film that deserves to be experienced on the big screen rather than waiting for it to hit streaming. It’s a much different film about childhood and even though it’s so different from its peers, it’s right up there with the likes of E.T. the Extra-Terrestrial. For Moonee and her friends, The Magic Castle is more than a castle–it’s the Magic Kingdom. The Florida Project opened in New York and Los Angeles on October 6, 2017. It expands into more locations on October 13, 2017.